Top seed Victoria sent an emphatic warning to their competitors on the first day of the Optus 14s Australian Teams Championships, cruising through the first round without dropping a set. 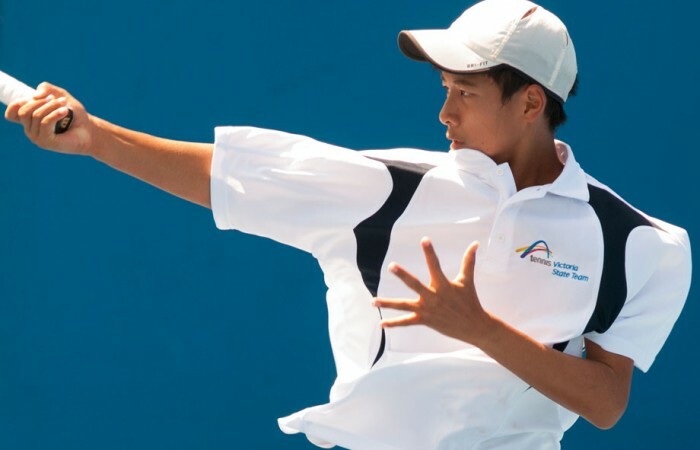 Richard Yang got the No.1 seeds off to a flying start, accounting for Alex DeJong from the ACT in straight sets 6- 0 6-1. Yang’s clever and skilful play forced DeJong into making a series of errors resulting in the straight-sets scoreline. Victorian teammate Daniel Nguyen picked up where Yang left off, giving opponent Dimi Morogiannis few chances. 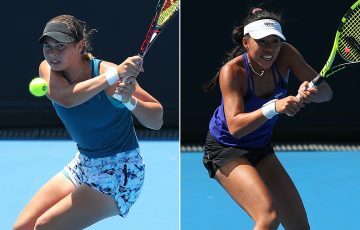 Nguyen put on a display of classy crosscourt groundstrokes to take the match 6-0 6-3 and secure Victoria its first win of the tournament. Nguyen then partnered Mike Vaughan in the doubles where they beat DeJong and Patrick Wielemborek 6-0 6-1. Second seeds New South Wales also started their campaign with a win against a resilient South Australia. Alex Deminaur got the ball rolling for NSW beating South Australian Mislav Bosnjak in straight sets. Bernard Nkomba also had little trouble with opponent Jean-Paul Di Corso. Nkomba appeared in complete control from the onset of the match with impressive footwork and swift movement around the court. New South Wales then went on to win the doubles to take the tie 3-0. New South Wales team manager Ben Pyne was pleased with the boys’ performance. 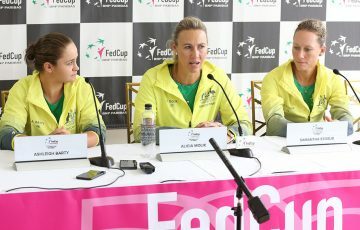 “We had a really solid start obviously not dropping a set so it was good to see,” Pyne said. It was not as smooth sailing for third seeds Queensland who were surprised by Tasmania in a hard-fought encounter. 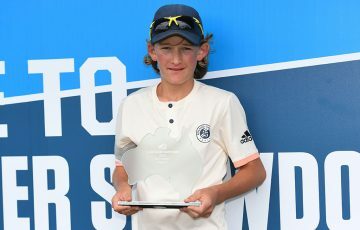 Tasmanian Nick Fader fought through trying conditions to take out the first set against Queenslander Jack Walton in a tiebreaker before cruising to victory 7-6 6-2. The second singles match was a different story for the Queenslanders with the aggressive play of Nathanael Consalvo overpowering Daniel Groom 6-2 6-1. But it was the Tasmanians who were able to break the deadlock with Fader and Tom Cornish beating Walton and Winter Meagher in the doubles 7-6 6-0. Perhaps the most hotly contested first round rubber was played between Victoria B and South Australia. 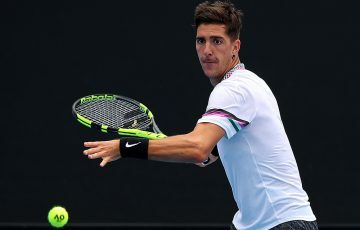 After struggling to find his rhythm in the first set, Victorian Jamie Sekulovski took out the first rubber 1-6 6-1 6-1. The Victorian had the support of the home crowd who rode every high and low as he fought his way back into the match. In the second set Sekulovski began to show off an impressive display of powerful groundstrokes and a solid serve. Ferguson was unable to contend with the revamped game plan, as Sekulovski powered to an inspiring victory in the scorching Melbourne heat. 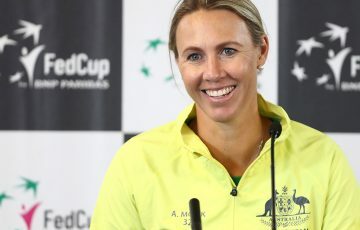 Team manager Emily Rea praised Sekulovski for his ability to fight his way back into the match. Fellow Victorian B team member Stefan Skadarka started his match in emphatic fashion before fighting though a tight second set against Ben Lye. 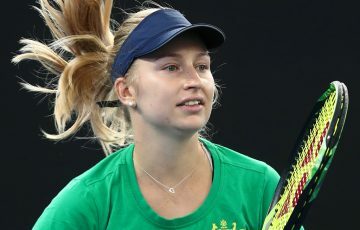 Fatigue played a major factor in the match with both players tiring, which saw the unforced error count escalate. Skadarka eventually took out the match 6-1 7-6(5). With the tie already decided, Sekulovski and Matthew Ramios beat Lye and Jesse Russell in the doubles 6-1 6-1.